On the eve of the five-year anniversary of his detention, we, the undersigned international organizations, condemn the ongoing and arbitrary deprivation of liberty of human rights defender Somyot Phrueksakasemsuk and call on Thailand’s authorities to immediately and unconditionally release him. Somyot, 54, is currently incarcerated in Bangkok’s Remand Prison, where he is serving a 10-year sentence following his conviction on charges of lèse-majesté under Article 112 of Thailand’s Criminal Code. Article 112 states that “whoever defames, insults or threatens the King, the Queen, the Heir to the throne or the Regent shall be punished with imprisonment of three to 15 years.” This imprisonment is in addition to one more year, which was an earlier suspended sentence for defamation in another case. Several UN human rights monitoring bodies have voiced concern over Somyot’s deprivation of liberty. In an opinion issued on 30 August 2012, the UN Working Group on Arbitrary Detention (WGAD) affirmed that Somyot’s detention was arbitrary. The WGAD called on Thai authorities to release Somyot and award him compensation. A former labor rights activist and magazine editor, Somyot was arrested on 30 April 2011, five days after he launched a petition campaign to collect 10,000 signatures required for a parliamentary review of Article 112. On 23 January 2013, the Bangkok Criminal Court sentenced him to 10 years in prison on two counts of lèse-majesté. Somyot was convicted for allowing the publication of two satirical articles in the now-defunct magazine Voice of Taksin, of which he was the editor. The articles were authored by someone else and deemed by the Thai authorities to have insulted King Bhumibol Adulyadej. On 19 September 2014, the Court of Appeal upheld the Bangkok Criminal Court’s lèse-majesté conviction of Somyot. The Court of Appeal failed to notify Somyot, his lawyer, and his family members that the hearing would take place on that day. On 19 November 2014, Somyot filed an appeal to the Supreme Court against his conviction. 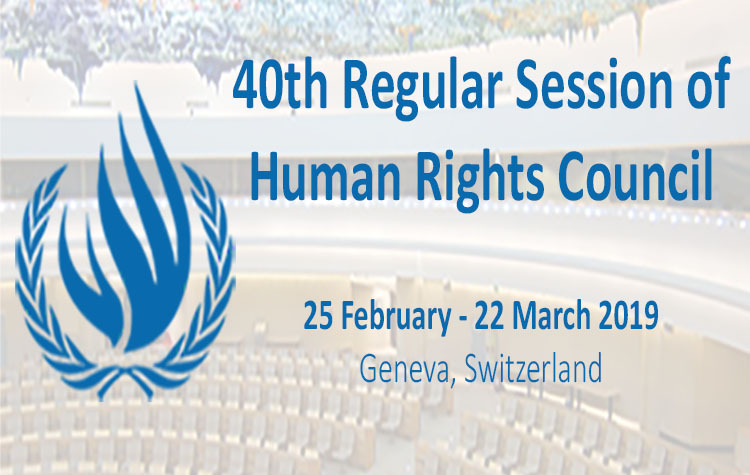 In its authoritative General Comment on Article 19, the UN Human Rights Committee (HRC), the body that monitors compliance with the provisions of the ICCPR by state parties, has affirmed that “all public figures, including those exercising the highest political authority such as heads of state and government, are legitimately subject to criticism and political opposition.” The HRC specifically expressed concern regarding lèse-majesté laws and stated that “imprisonment is never an appropriate penalty” for defamation. On 23 September 2014, the UN Office of the High Commissioner for Human Rights (OHCHR) voiced its disappointment over the Court of Appeal’s ruling that upheld Somyot’s conviction. On 11 August 2015, OHCHR urged Thailand to amend the “vague and broad” lèse-majesté law to bring it in line with international human rights standards. OHCHR also called for the immediate release of all those who had been jailed for the exercise of their right to freedom of expression. We also condemn the flaws and delays in the judicial proceedings against Somyot and the courts’ repeated refusals to grant him bail. Somyot has unsuccessfully petitioned for bail 16 times – the last time in November 2014. Somyot is one of the few lèse-majesté defendants who have appealed their convictions up to the Supreme Court. Somyot has maintained his innocence and has refused to plead guilty. In consideration of the very high conviction rate in Thailand’s lèse-majesté trials, most defendants plead guilty in order to obtain a significant reduction of their prison sentence and become eligible to apply for a pardon from the palace. We urge the Thai government to end the persecution of Somyot and immediately set him free to return to his wife and family. In addition, we call on the Thai government to provide Somyot adequate compensation and effective remedy for the arbitrary deprivation of his liberty.